This essay is edited from a lecture presented by the author at the PARAthesis conference organized by Jonathan Lott, Brian Price and Dominic Leong at Columbia University Graduate School of Architecture, Planning and Preservation on February 4, 2006. We who educate for the professions sit cheek by jowl with academics in universities, yet our ways differ from theirs. We may have something special to offer them, both in teaching and in how we think of research and design. 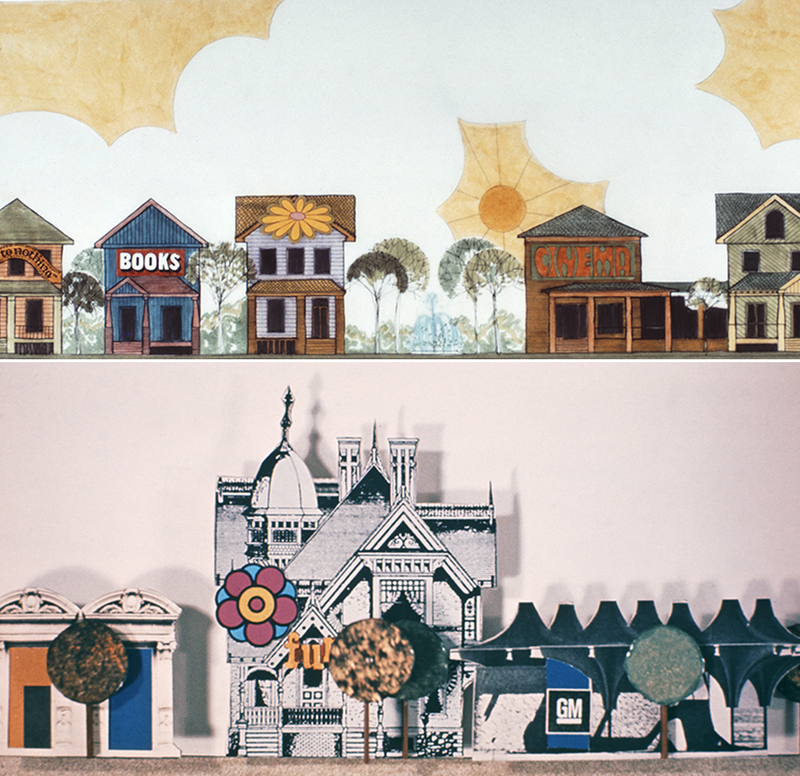 Denise Scott Brown, The Control Game Studio, Rice 1969. Drawings illustrating “design controls” along Westheimer Avenue in Houston. Controls were proposed by half of the studio; the other half designed commercial and residential areas in response. Designers were asked to “do their worst” to test the unexpected outcomes of good intentions. Image courtesy of Denise Scott Brown. Architects and planners, whether they design buildings or recommend policy, are involved in doing. Therefore, architectural and planning education trains for doing. Academic education, on the other hand, trains for teaching and research. University professors tend to teach as they were taught, as if their students were following them into teaching. Few, of course, will and today universities face the problem that action-oriented students see academic teaching methods as irrelevant. Some form of “studio” is found in all professional education. Medicine has clinics, engineering has labs, law has case studies and business has workshops. In all these cases there are issues of pure and applied research. I don’t see the value of architects doing pure research into human physiology or into the systems controls of spaceships, but perhaps they can help the teams researching the functional and visual relationships required within a spaceship cabin—like, how do you reach what you need to use and see what you need to work on within this environment? And maybe designers can help make its occupants feel less constrained. But for the specialized physiological or engineering needs of highly technical design, we must expect to work with experts. 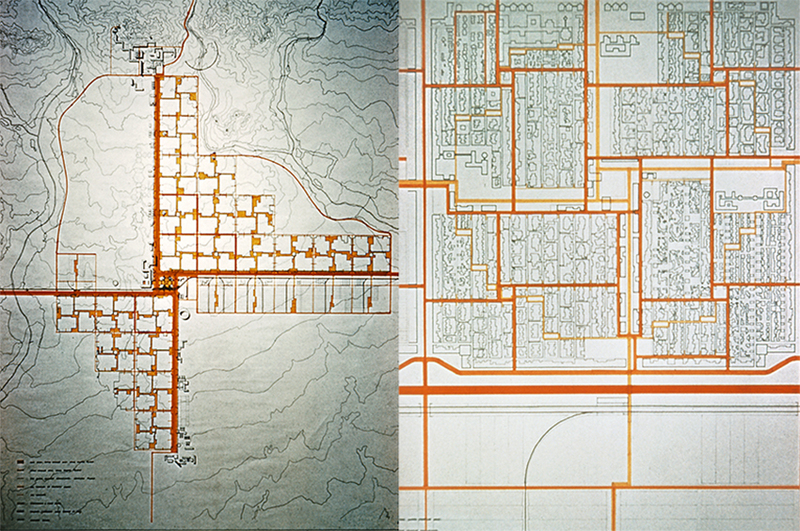 Denise Scott Brown, The Control Game Studio, Rice 1969. However, in architecture, we don’t have, as in medicine, a broad range of professions between the primary caregiver and the pure scientist. These professionals spend their lives working on part of a problem and helping to move knowledge from pure research to a doctor or nurse. What span from pure to applied research should pertain to architecture, and at what points within that span should various forms of research be undertaken? How should we plan studios at different points along that span? Should training for architectural research be academic or professional? Traditionally, the PhD was dedicated to training for the teaching of architectural history and, to some extent, engineering and structures. The professional research degree—the doctorate in architecture—was usually specific to a building type. You could specialize in hospitals, for example. My own architectural education1 started in 1949 at Witwatersrand University in South Africa, an undergraduate professional school. Here research was considered one of the professional skills an architect must learn: we did a group research project in our first year. Fourth year was spent either in an architect’s office or (before World War II) in Italy or Greece studying antiquities, which was a kind of research. In fifth year you wrote a research thesis, which was practice-oriented–—there were no design theses at this stage. The Architectural Association (AA) in London, where I transferred in 1952, did not offer organized research programs. But there was a great deal of group work focused on urbanism, and increasingly on the urbanistic ideas of the New Brutalists. Organized trips and architectural sightseeing in and around London were forms of personal research for students. Denise Scott Brown, New City Punjab Studio, Penn 1959. A response to urban migration in Chandigarh based in a “capital web” of public facilities, streets, storm water infrastructure, and “self-help” housing. Produced as a student in the studio of David Crane. Image courtesy of Denise Scott Brown. The Graduate School of Fine Arts at the University of Pennsylvania—where I arrived in 1958—derived its methods from Harvard University, under Gropius, and therefore from the Bauhaus. Penn supported a broadly-based planning department where faculty, mainly from the social sciences, conducted well-funded urban research in the Institute for Urban Studies that contained little provision for architectural research. Nevertheless, I was surprised at the wealth of help and advice available to us through Penn’s research programs and from the teaching assistants who were doctoral students in planning. Harvard’s methods at Penn were mediated by the faculty’s experience in other places—Louis Kahn’s from Philadelphia, Bob Venturi’s from the historically-oriented Princeton and mine from Witwatersrand and the AA. And, via the planning faculty, there was a strong social sciences influence from the planning program at the University of Chicago. In the 1950s and 1960s, considerable dissension existed between proponents of the various methods. In the traditional architectural studio, learning-by-doing really means learning by designing. As most students head toward practice, they need to gain experience designing via a carefully structured sequence of studios to help them acquire increasingly complex design skills. Remember your childhood experience of learning to ride a bicycle. You got on. You didn’t know what to do, but you didn’t read a book. You just did it. You fell off, you got up, you fell off again, you got back on—and finally you were riding. You can do it in an afternoon, but you’ll know it for the rest of your life. Well, that’s not a bad model for a studio. It should not be frowned upon. It’s not anti- scientific. It’s the best kind of science for that particular process. At Penn we had the problem of augmenting the knowledge base of that system, and that was one of my tasks as a studio teacher: how do you add knowledge to the learning-by-doing process? In most architecture schools, studio involved individual projects, and relations between students were often competitive. There was a social side to studios, but it had to do with parties, rather than group work. When I studied and taught, the structure of studio was often authoritarian—and its juries were highly so. I saw destructive jury members purvey the attitude, “I am high, and I have it. You are low, and you don’t. Maybe you never will.” I would add under my breath, “particularly with you around.” This kind of “training” breeds authoritarian personalities, and it’s a big problem both in architectural education and later in practice. Planning studios demand group work and a shared project that is conducted collaboratively—a process in which research and design intertwine. Penn’s planning studio juries avoided authoritarian posturing. Like the “pilpul” of an Eastern European Yeshiva, they consisted of a discussion, sometimes a fight, and an animated throwing around of ideas among students and faculty, which tended to spread beyond studio and erupt across the department. Denise Scott Brown, Form, Forces and Functions Studio, Penn 1964. Regional scale drawings of Philadelphia from Scott Brown’s graduate thesis project illustrating the relationship between urban activity, settlement patterns, topography, and transportation. 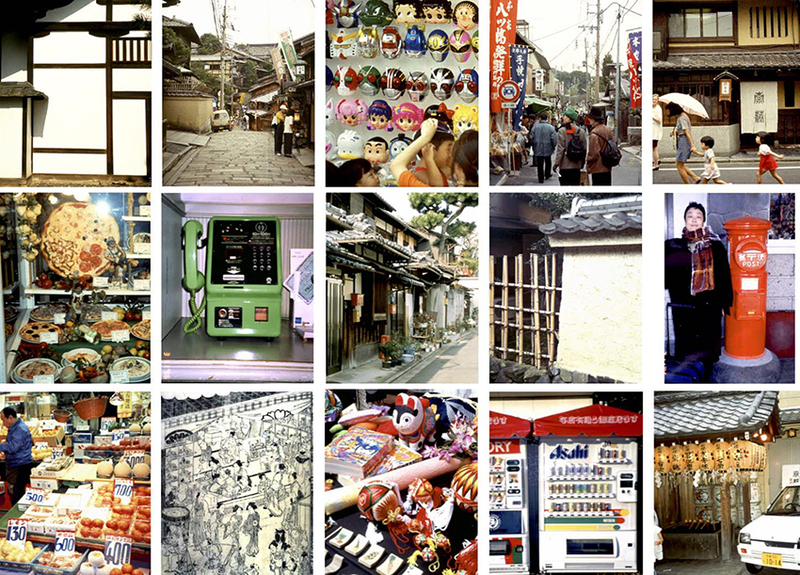 Image courtesy of Denise Scott Brown. The 1960s were great years for planning at Penn. 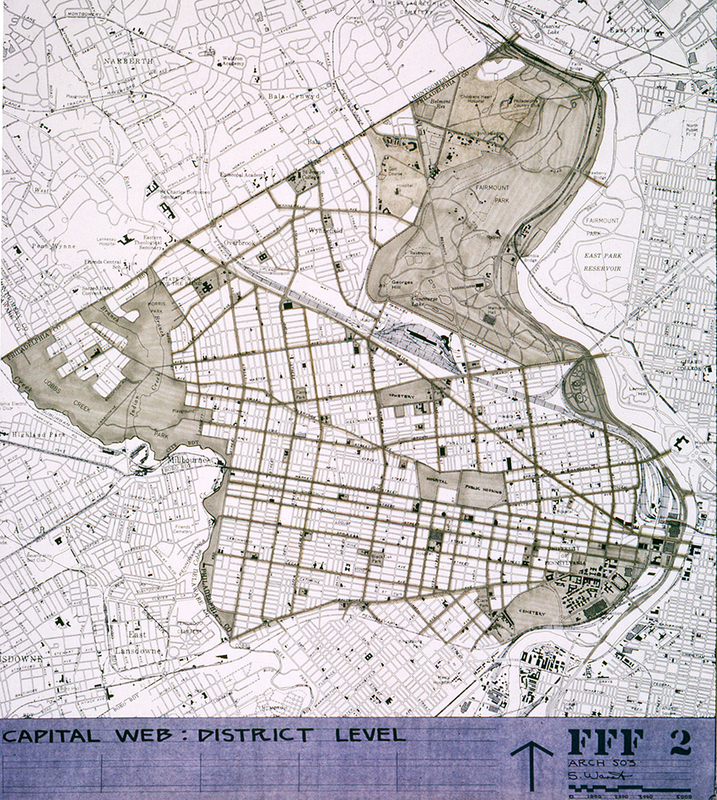 Money from Washington for urban renewal brought social scientists into the department, creating havoc among the physically oriented planners trained in architecture. Sitting in the middle of the debate, I learned much of what I know about pedagogy in architecture and planning. After graduating from Penn, I rejoined the faculty just as the planning department initiated a faculty-wide discussion about the curriculum.2 These philosophical debates concerned the evolving conditions in planning, and the relation between traditional physical planning and the emerging demands of social and systems planning. As the predominance of physical planning was more and more contested, the role of studio in the department came under heavy debate, which was eventually abandoned. Nevertheless, through the planners’ questioning, I learned more about the nature of teaching studio than I did in architecture faculty meetings. In theory, studio in planning school was where you tried to apply what you learned in the lectures courses—related to urban transportation, land use planning, urban economics, sociology, law and political science. As one urban design student put it, “studying transportation is like taking a nasty medicine. It tastes bad, but when you take it you get better.” He meant that you get to be a better designer. One of my aims in studio was to help the students understand this bad medicine and use it well—in their own way as designers, not as social scientists or engineers. The planners posed a planning studio model in which you apply what you learn in lectures, against the “guru” studio model, where a great architect leads you to a vision. The planners, and I with them, were quite skeptical of such visions,2 and believed the studio critics were too focused on their own ideas and delinquent in their interdisciplinary duty. At its best, the visionary studio can help build ideals, probity and commitment. But its magic can sear you (for good or ill) for life. Denise Scott Brown, Form, Forces and Functions Studio, Penn 1964. District scale details, diagrams, and elevations from Scott Brown’s graduate thesis project illustrating the relationship between a “capital web” and “thematic units” related to building usage in West Philadelphia. Image courtesy of Denise Scott Brown. Many pedagogical and philosophical issues must be considered. What is research and what is design? What is the balance between the two? What is analysis and what is synthesis? When, in a studio sequence, do you do one over the other? What is a hypothesis? Is it a design? How and when should the studio process alternate between large-team, small-team, and individual work? How can subgroup findings be generally shared? How do you deal with both creativity and rigor? How do you mix the measurable and unmeasurable? Issues specific to a project, like which aspects of reality to take on in studio must be considered, since you can’t manage them all. In the feisty 1960s, these often had to do with the relationship between social concerns and physical planning. Denise Scott Brown, Form, Forces and Functions Studio, Penn 1964. District scale drawing from Scott Brown’s graduate thesis project illustrating the relationship between a “capital web” and “thematic units” related to building usage in West Philadelphia. Image courtesy of Denise Scott Brown. Another model is the player-coach studio approach. Here the faculty member, usually young, is as much identified with the problem as the student is, and perhaps uses the studio as a means of doing research on the things she or he loves the most. The studio project—perhaps an urban settlement in a developing area, or research in Lagos or Las Vegas—is chosen for its high interest to both students and critics. These studios help, too, to develop ideals and commitment and, through their group work, build camaraderie; you’re all in it together, and that makes for potent learning. My student advisor at Penn, David A. Crane,4 was the ultimate coach. 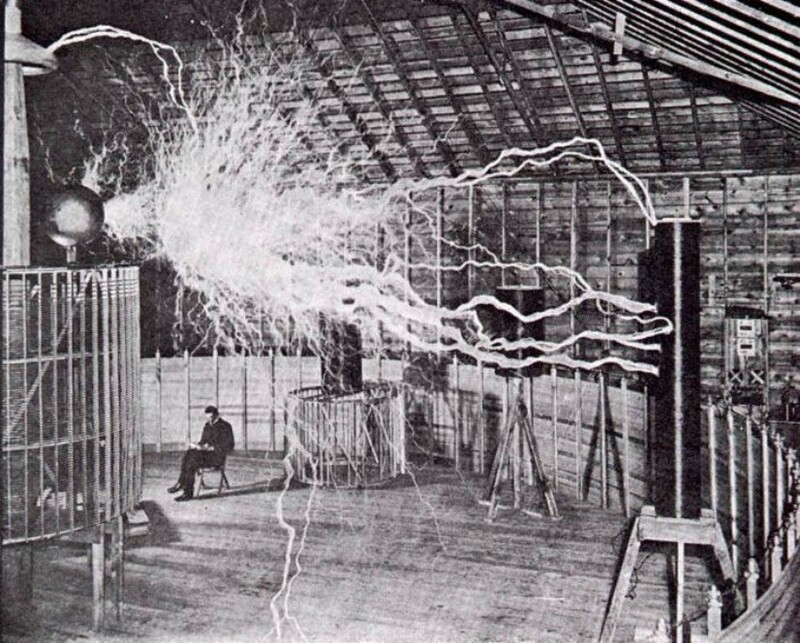 The studio structure he used came from Harvard. I learned it from him; it provided the structural framework for all the studios I (and later, Bob and I) taught, though we applied it to architectural and urban design material. Learn by doing. This concept involves the traditional idea of the architectural studio as practicing design, and the planning studio objective of reinforcing the content of lectures. But, just as important, it has to do with the professionalization of academic knowledge to make it useable for designers. Our Las Vegas and Levittown studios, for example, tried not only to give architects a broader, more interdisciplinary intellectual base, but also to help them convert knowledge from other fields—from iconography to regional science—into forms they could use in their work. Denise Scott Brown and Robert Venturi, Learning from Levittown, Yale 1970. Family organization, leisure activities, media relationship, mobility, and income analyses. Like the earlier Learning from Las Vegas project – taught with Venturi and Steven Izenour — the studio aimed to question architecture, social life ,values, taste, and culture in the everyday environment. Image courtesy of Denise Scott Brown. When we taught the Learning from Levittown studio, I invited an economist to visit. She asked the students, “who took Economics 101?” They all raised their hands. But as the studio continued, it was apparent that none of them understood economics as it is applied to housing or to anything that they did in architecture. And because they had no way to connect it to their professional concerns, they could not even remember what they had learned about it as undergraduates. Studio can help architects make the connection, and learn to apply knowledge gained in undergraduate study or thereafter to their professional work. Add knowledge and evolve the discipline. A scholarly discipline is defined by the body of knowledge and concepts that support it—and one role of research is to contribute to this constantly changing penumbra of learning. In professional schools, this role can also be filled by doctoral dissertations, the research of scholars, the empirical studies of practitioners and, in architecture, by research-oriented studios. The Las Vegas studio added, inter alia, the concept of The Duck to architecture: a (small) example of discipline building. Denise Scott Brown and Robert Venturi, Learning from Levittown, Yale 1970. 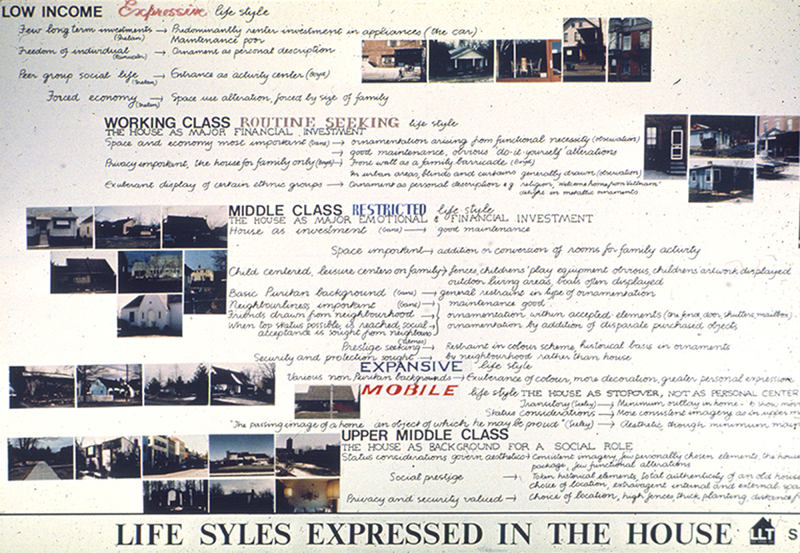 Narrative description of Life Styles Expressed in the House contextualizing routines, restrictions, emotional and financial investment of its inhabitants against traditional class designations. Image courtesy of Denise Scott Brown. Denise Scott Brown and Robert Venturi, Learning from Levittown, Yale 1970. 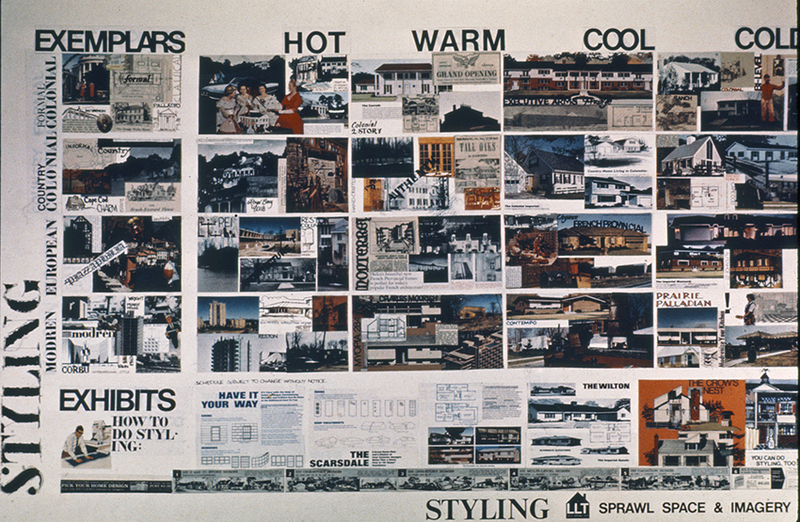 Photographs and advertisements that depict Styling, Sprawl, Space, & Imagery, while also comparing popular residential styles against the hot and cool media categories of Marshall McLuhan. Image courtesy of Denise Scott Brown. 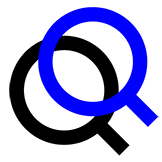 Evolve learning techniques for different learners. Architects tend to be visual learners and many, like art students, are probably dyslexic. But their talent for visual learning is a difference, not a disability—one especially appropriate for architecture. Still, such learners may feel overwhelmed by book learning, and may believe reading cramps their ability to design. Tying the reading requirement closely to the design aim, the studio can help visual learners discover and apply their talents to intellectual material: to derive the physical and visual implications of verbal information, and to use these creatively in design. Learn to do life-long learning. Studio parallels and prepares students for the learning processes of professional practice, where projects must be researched as they are designed. If studio broadens these processes to include areas that would be ignored in practice, it can lead to improve project-related study and a lifetime of intellectual broadening. Build camaraderie. When students work long, intense hours together under deadline on projects that intrigue them, an infectious spirit and a supportive solidarity builds up. This helps establish personal professional identities. Build commitment. By developing camaraderie, ideals, professional ethics and philosophical approaches, the studio can help students form a basic commitment to their life’s work. 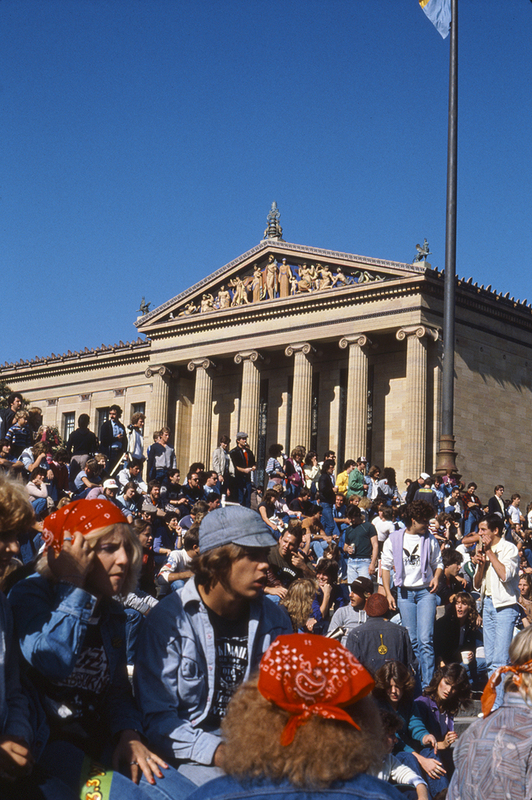 Denise Scott Brown, Fairmount in the Cultural Landscape, Penn 1983. 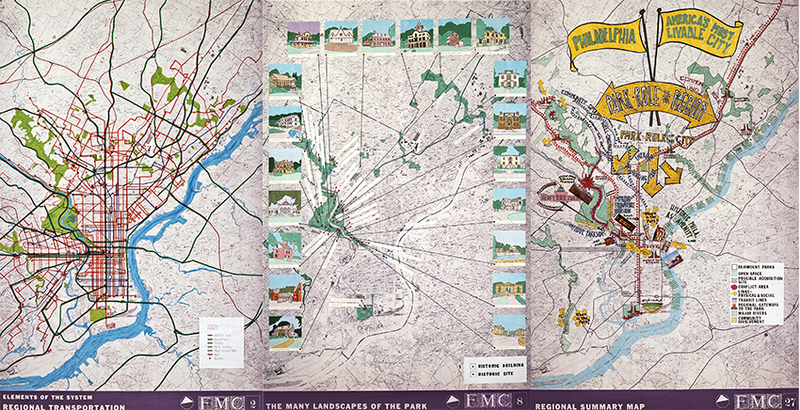 Research photograph that depicts the role of Fairmount Park in the cultural and political history of Philadelphia. Image courtesy of Denise Scott Brown. Image courtesy of Denise Scott Brown. 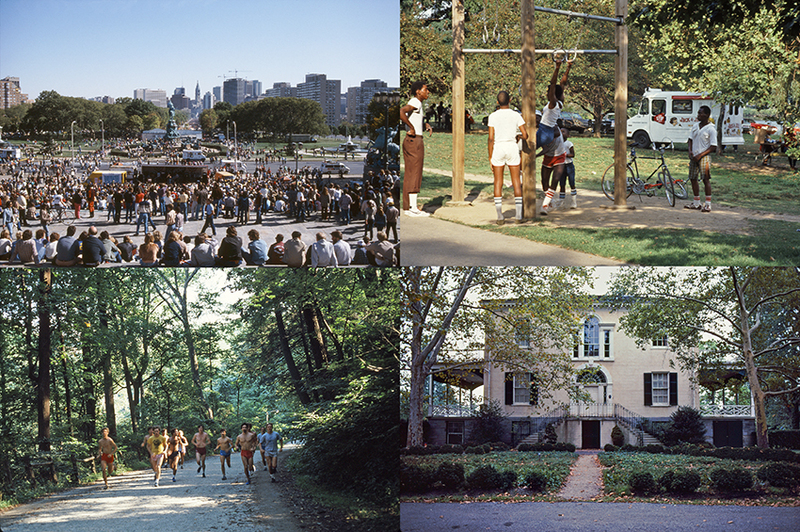 Denise Scott Brown, Fairmount in the Cultural Landscape, Penn 1983. Research photographs of the many landscapes that coexist in one park. Image courtesy of Denise Scott Brown. A “home” project. When I entered Penn, I didn’t have the chance to get to know Philadelphia for six months. I had no time. It’s a kindness to introduce students to the city they live in by giving them a project based there. 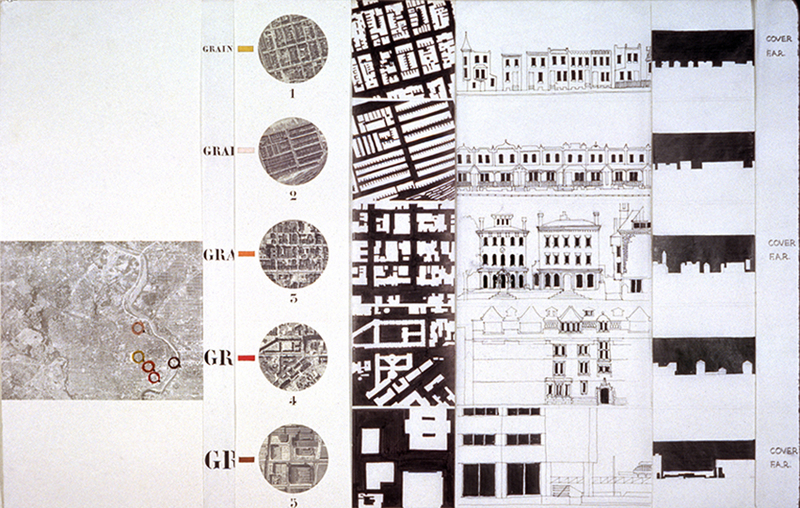 Denise Scott Brown, Fairmount in the Cultural Landscape, Penn 1983. Regional scale social and cultural mapping incorporating sign systems, urban green space, transportation, and residential elevations. Image courtesy of Denise Scott Brown. Studio should be fun. Studio should be like playing. Children work hard at their play. So should the studio. If emotions—even anger, on occasion—aren’t triggered, none of us will learn. Share the power. The teacher learns the most, partly because power is a great teacher. It’s also intoxicating, and therefore dangerous. You should share it, not take it all yourself. Try to get the students to have some of the power, make them be the teacher in some respect. Let them be judge of what they should show the class. Let them be part of a jury. Then, when they are the teachers, watch how authoritarian they become. Consider the intertwining of research and design. In research, analysis usually precedes and is a heuristic for synthesis. But the process can be reversed to have synthesis (the design, the hypothesis) generate and set the direction for analysis. This can help researchers target appropriate subject matter, focus their research and avoid analytic wheel spinning. Britton Harris, at Penn, described how a whale just opens its mouth and anything that flows into it is food. 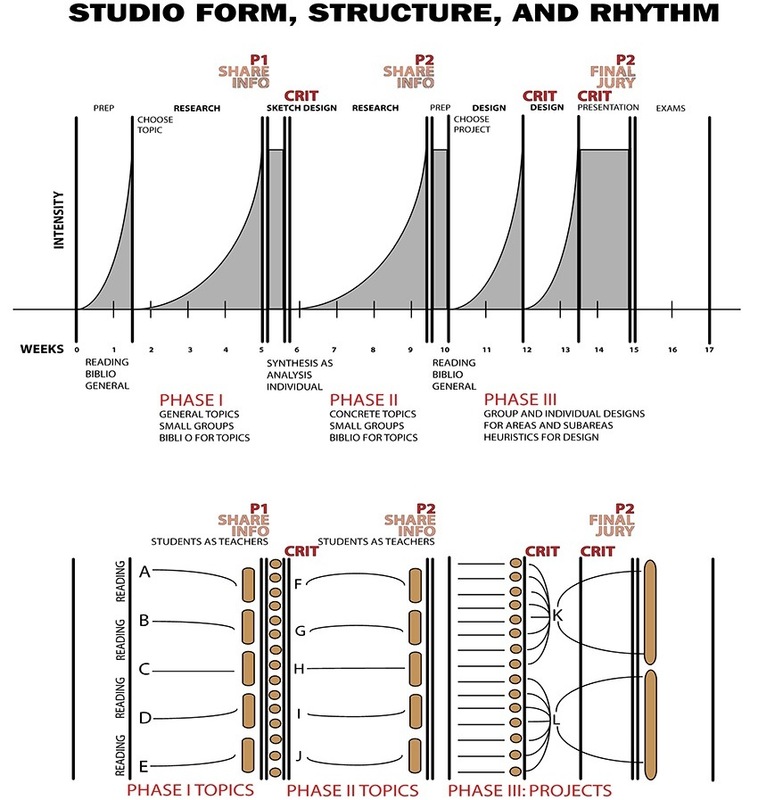 An early design phase can counter the “whale” method of analysis. What should the ratio of time spent on research and design be within the studio? How should they be related? A common criticism of physical planning studios was that once the students had done a ritual dance called “analysis,” they then closed that book and went on to their preferred activity: designing—one had nothing to do with the other. To deal with this concern, planning faculty tried hard to devise systems for linking analysis to synthesis, and research to design. Dave Crane started his studios with an initial brief period of research. This the students performed ardently because it was in preparation for a sketch design, to occur right after. He allowed four days for the design. This constituted the first synthesis of the analytic material produced by the research. He believed that getting students’ minds into a designing mode early helped them understand the project requirements, improved their grasp of the analysis and showed them the applicability of analytic findings to the design process. But because the first designs suggested further directions for analysis, they were also part of the research process—scientists would have called them hypotheses. These hypotheses helped Dave structure the rest of the studio planning process as well. But the Penn Dean, Holmes Perkins, questioned this technique: “never take architecture students too far away from design. You’ll bore them. Their first love is design. Get them into it as quickly as possible.” So when we returned from Las Vegas, with Holmes’s admonition in mind, I immediately gave the students a sketch design. But they called it, “that busy work Denise is making us do.” Who has heard an architecture student call design, not research, busy work? In a way, this was the achievement of the studio. 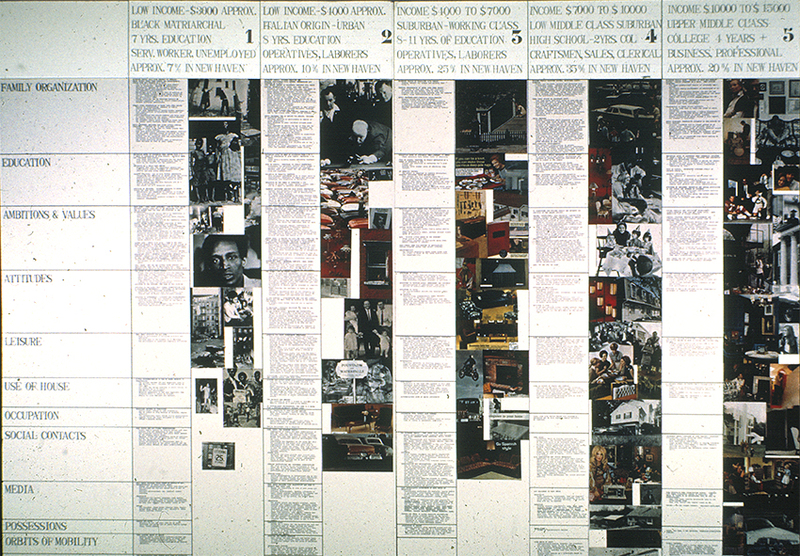 Denise Scott Brown, Studio Planning Diagrams, 2006. Scott Brown’s sequential distribution of design tasks – data gathering, analysis, synthesis, and development – in association with types of research, individual and collective design work, pedagogical strategy, and critique format. Image courtesy of Denise Scott Brown. Bob Venturi, then my colleague at Penn, and I had much in common. He was the only architecture faculty member who sympathized with my struggles to link social planning and architecture. His approach to design was both conceptual and analytical, and he saw design as a form of (self-) criticism. Students saw his studios as not for beginners—they’d say, “he doesn’t tell us what to do.” Venturi’s theory course was a designer’s professionalization of historical knowledge. He treated historical subject matter analytically, comparatively and non-chronologically, showing students how a creative practitioner could incorporate historical research into design. Holmes Perkins viewed Penn’s two courses in theory (Bob’s and my own) as a means of building knowledge into the studio. Bob’s became a model for the development of theory courses in architectural schools in the 1980s and1990s. These courses, rather than studio, have been major vehicles for research and discipline building in architecture since the 1980s, but their focus has tended to be academic, not professional. Studio form, structure, and rhythms. I planned the rhythms of my studios first: the points during the sixteen-week semester when students would share information with each other, before the next phase. Then I structured the days of high activity during and just after charrettes. This set up a series of presentations, crits and juries; and around that, individual, small-group and large-group work sequences. These, in turn, structured the iterations of research and design. I then limned out the topics: some for early analytic phases and others to follow the initial design phase. The scope of a topic decided its team size. Students meeting on the first day of studio were given an introductory handout with a schedule, a reading list and a list of “Phase I” work topics. A general bibliography followed soon thereafter. Phase I lasted ten days. I did not plan more than ten days ahead. This allowed me to get to know the students, and then my second work topics were written with specific individuals in mind. In this way, we proceeded, via successive analyses and syntheses, to the final presentation and jury. During the height of Penn’s social vs. physical debate, the social planners criticized the “physical bias” of the profession. Why, they asked, were the major problems of cities defined as physical, when education and jobs were patently more important? They criticized studio, too, for its physical bias and decried it as an empire builder—a monopolizer of students’ time. They castigated studio faculty for teaching their own design philosophies and not the shared intellectual material of urban planning. Paul Davidoff, the great-hearted activist for social justice, ran a studio that was entirely non-physical. It was called GAP, and its objective was to establish the goals of the Philadelphia Police Department. But eventually, even this was found unacceptable, and the studio was replaced by “workshops.” These had no creative problem-oriented tasks, no research and no design. From my viewpoint, the students did sums, and I felt that the warm heart of the program was lost in the process. I would have gone in another direction and suggested that courses in professional schools be more like studio with juries, where the issues of the course were debated by an interdisciplinary group of planning and architecture faculty members. But by this time, the 1960s were over; Nixonism and Reaganism removed planning funding in cities and universities. The fire went out of planning schools, and with it the social scientists. They followed the money and, in many schools, left their base in architecture for fairer fields—only to find themselves languishing in the much fiercer competition of the university at large. 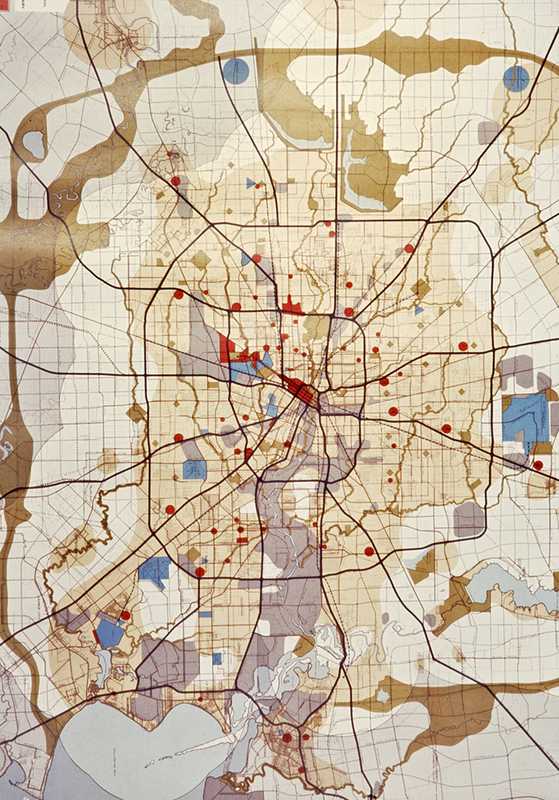 Architects ensconced themselves in the planners’ place, forming urban design studios that taught large-scale architecture, and resisting attempts by planners to return. 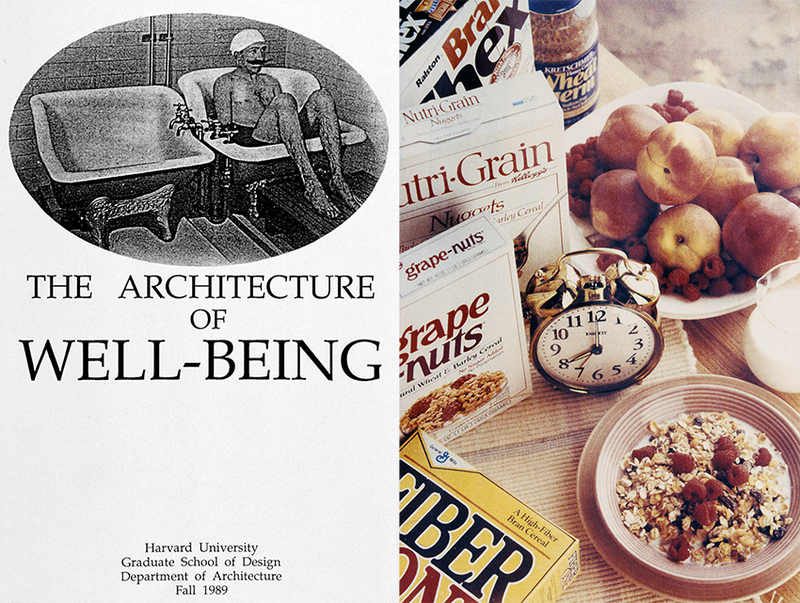 Denise Scott Brown, The Architecture of Well-Being, Harvard 1989. Pages from the studio brief of a studio that studied the historical and modern physical provisions of wellbeing. Students were prompted to design equivalents of Roman baths, collective saunas, and other great health facilities of the past. Image courtesy of Denise Scott Brown. I believe that, far from being dropped, the concept of learning-by-doing should be extended within architecture and planning to embrace studio forms beyond those of the traditional architecture department. And, as well, studio should be considered within the university at large for the alternative it poses to the academic model of teaching. Studio-like teaching, learning-by-doing, may be suitable to learning styles beyond those of visual learners in architecture and art programs. For example, undergraduates in academic programs who don’t intend to teach and student activists may find the learning-by-doing approach more suited to their career plans. I have continued to plan studios. I would like to document the Philadelphia urban row house—its evolution and themes—and to consider its prospects for a future urban life. I would also like to study the city’s industrial land use system, inherited from the nineteenth century, and its potential for reuse now that heavy industry no longer exists—despite this, the connections between rail, housing and workplaces still form a city-wide network. I would also like to study the retail use-patterns of Venice, map them and consider their relation to canals, residential areas and public and religious buildings. In Shanghai, too, I would like to search for urban prototypes that could have applicability in other parts of the world, such as the city’s lilong housing and scholars’ gardens, to name a few. Venturi Scott Brown and Associates, Research Matrix 1997. The use in professional practice of studio techniques for gaining information for design is clear in research for the Mielparque Nikko Kirifuri Resort in Japan. Image courtesy of Denise Scott Brown. Given the growing interest in the philosophy and processes of research in architecture, I share my ideas and what I’ve learned with you to leave a record of my knowledge in forms that I hope will be useful and transmittable, and that will add to the discipline of architecture. I believe that having the studio model available in the university is valuable in many respects. This reflects an aim of both my teaching and practice to set the context by surveying a wider terrain, then helping people focus within it. I share my experience by writing, not the history, but the “minutes of the meetings” I attended. Denise Scott Brown, an architect, planner, theorist, writer and educator taught at University of Pennsylvania, Berkeley, UCLA, Yale, and Harvard. As principal with Robert Venturi at Venturi, Scott Brown and Associates, she led international architectural, urban planning, and campus projects. Her research including Learning from Las Vegas (1972; revised 1977, with Venturi and Steven Izenour) and Learning from Levittown (1970 with Venturi), is widely credited with redefining the subject matter and approach of architectural research.